Excelling in the classroom and in competition. RIT has 12 men’s varsity teams and 12 women’s varsity teams. 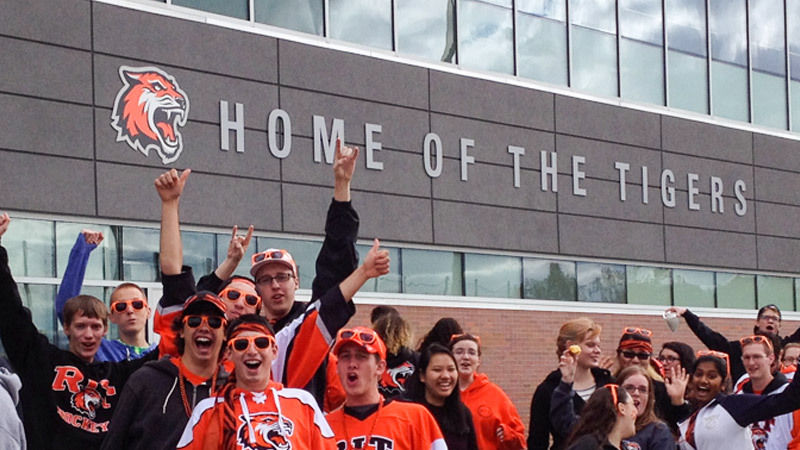 RIT men’s and women’s hockey are NCAA Division I programs. The Gene Polisseni Center, home to the RIT men’s and women’s hockey programs, has space for 4,300 fans. Tigers enjoy success in both the field of competition and the classroom. Rochester Red Wings baseball, in partnership with RIT’s National Technical Institute for the Deaf and Rochester School for the Deaf, will host the first Deaf Culture Day at Frontier Field on Sunday, April 28. SVG News features upgrades to University Production Services equipment.